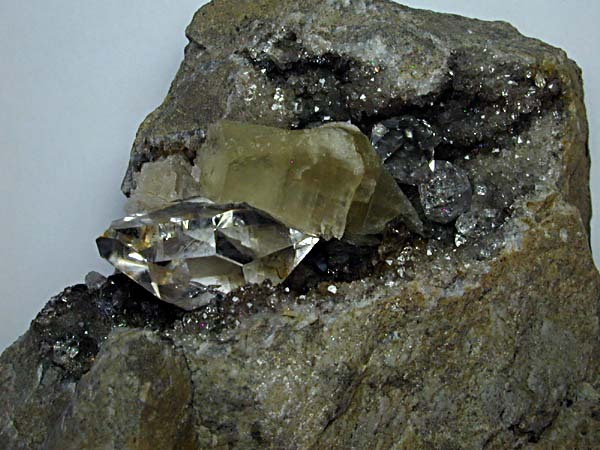 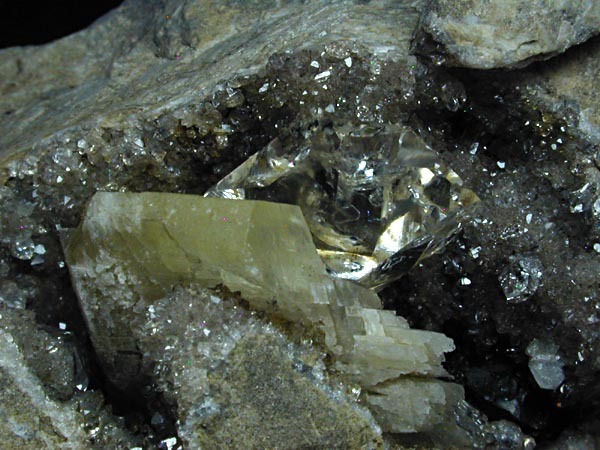 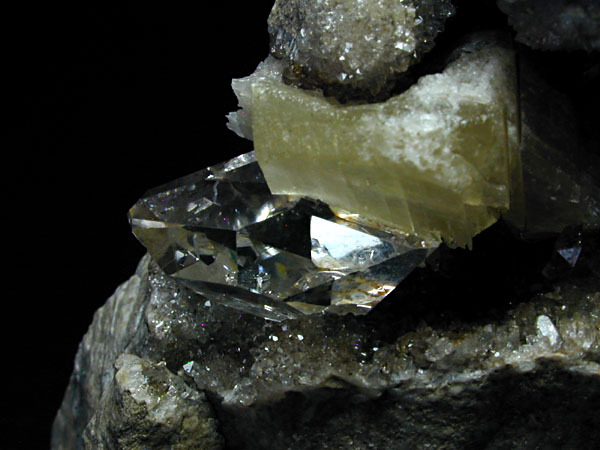 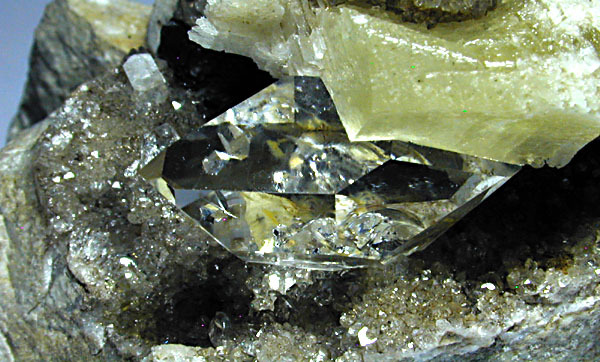 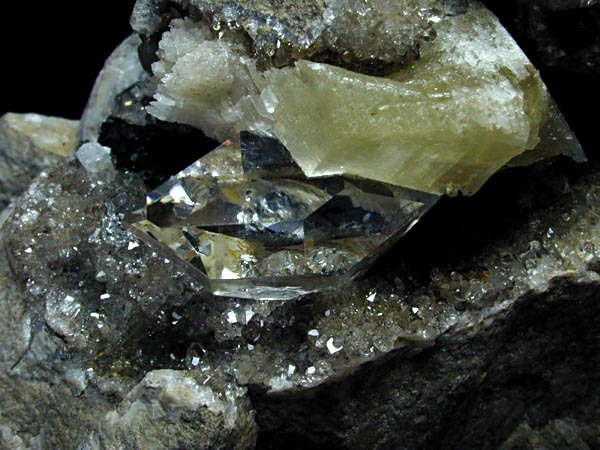 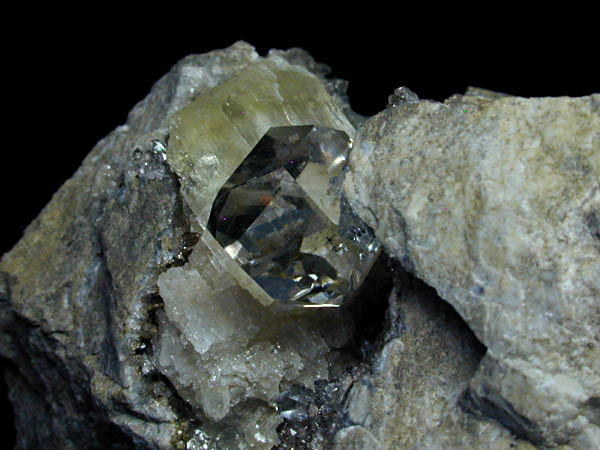 Material Quartz with calcite and "bitumen" - "Herkimer Diamond"
Origin Margaret Hastings Mine, Fonda, Herkimer County, New York State, U.S.A. 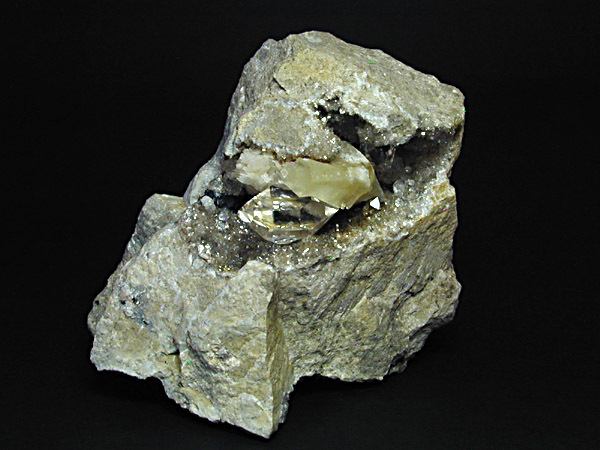 Superb 1" clear double terminated Herkimer quartz crystal with other smaller quartz crystals lining the cavity in matrix and associated with pale cream coloured calcite and some black bituminous material towards one end of the cavity. 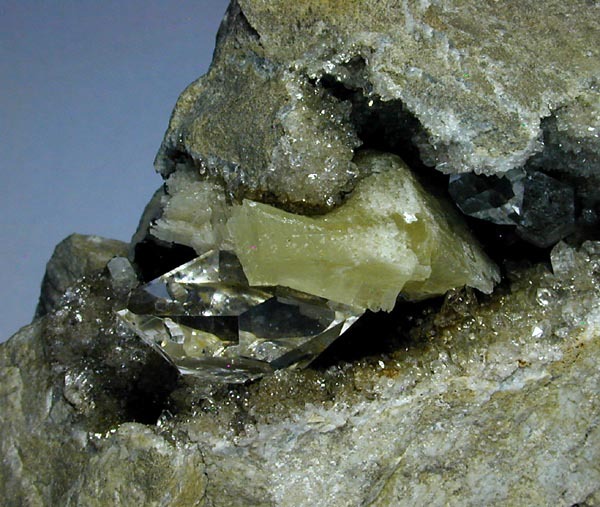 A rare opportunity to add an example of this material showing both the calcite and bituminous material in association and on the matrix. 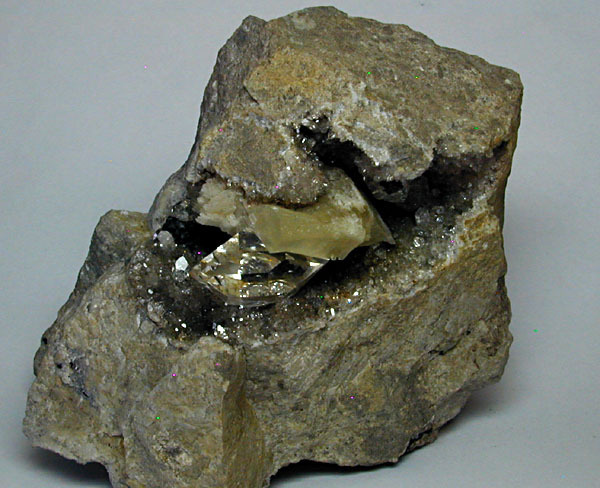 The bitumen is more commonly enclosed as inclusions within the quartz. 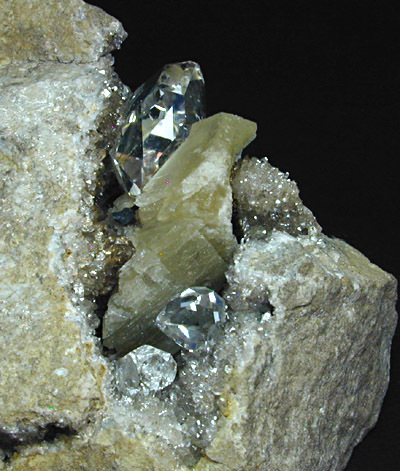 The back of the specimen has been cut so that the piece can be displayed lying down. 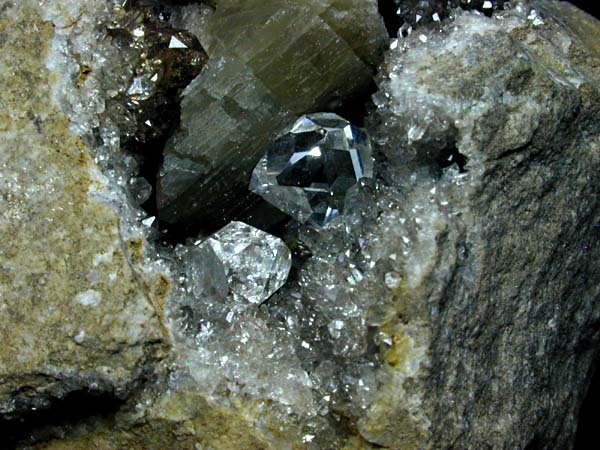 Largest crystal Quartz - 25mm Appx.